Wash your hands thoroughly every time you touch your nose or throat. If you don't have easy access to running water and soap, use a hand sanitizer. 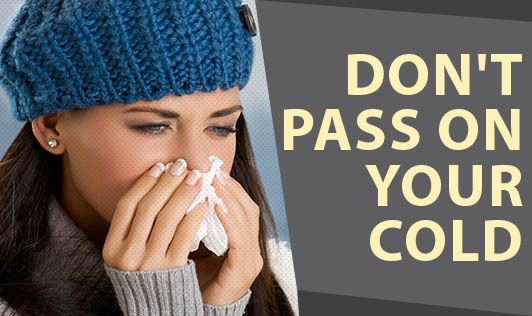 Cover your nose and mouth with a handkerchief or paper tissue when you sneeze. Do not share your napkin, towel, soap, cup or plate with anyone else. Keep yourself warm, eat healthy foods, drink lots of fluids and take adequate rest. Inhale steam at least once a day to open your nasal passages. Do not exert yourself with too much work. Take it easy. If you can rest at home for a day, do so.